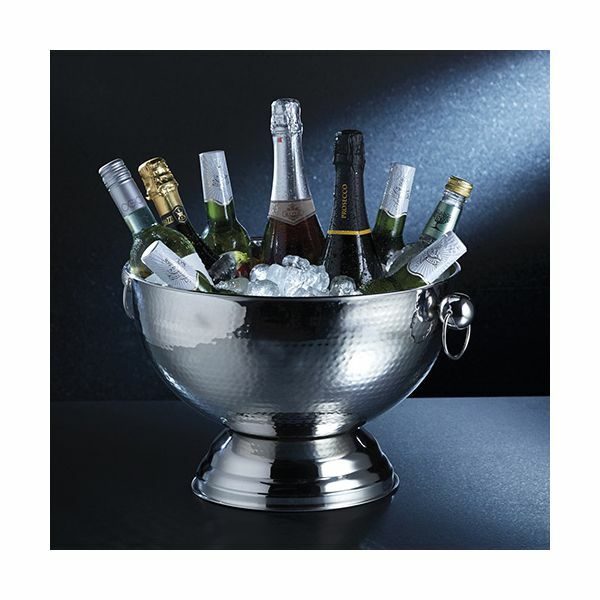 This large hammered effect stainless steel Champagne bowl is perfect for parties and special occasions, the bowl can hold several bottles at a time, when packed with ice this bowl keep your wine chilled for hours. Ideal for outdoor use also for summer parties and barbecues. 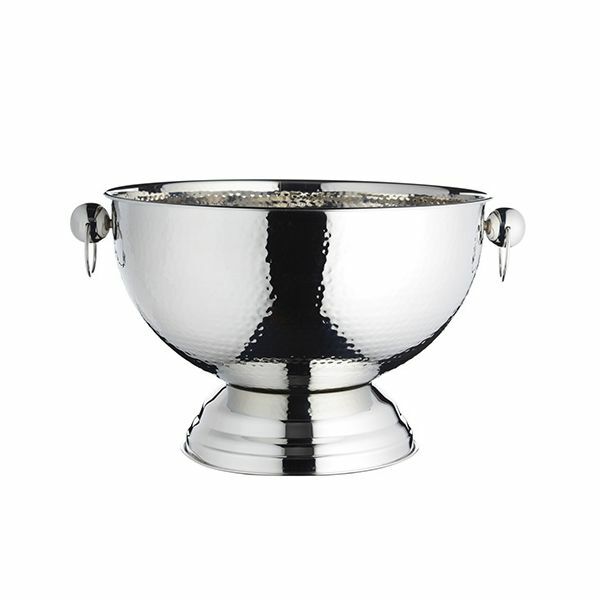 This large bowl can also be used for chilling desserts and smaller bottles.